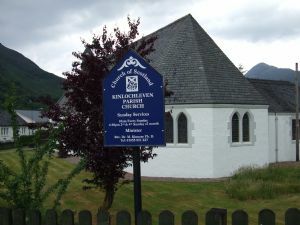 Kinlochleven Parish Church is part of the Church of Scotland. We are a Christian family of worshipping people at the heart of this parish and community. We come to church because we want to know God personally, trust him unreservedly, and serve him joyfully. We come to church to hear God's Word, to have it read and explained, and learn to apply it to our lives. We come that we might know Jesus and enter the joy of the Lord. This church and its adjacent hall are ideal places for people of all ages to meet up for worship, friendship, and for other activities The hall is available for hire, please contact the minister..
We hope to see you on Sunday at 10am when our normal hour of worship is and at some the other times where things are going on.